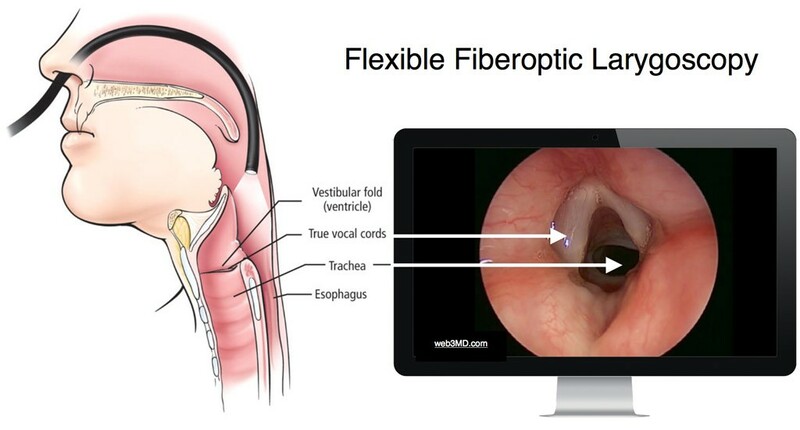 Vocal cord disorders occur when the vocal cords in the larynx (voice box) do not function correctly due to vocal nodules, polyps, laryngitis, vocal cord paralysis, and vocal cord dysfunction (VCD). 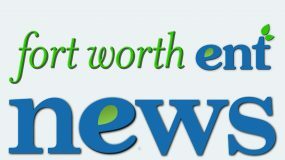 The Fort Worth ENT otolaryngologists specialize in vocal cord disorders and are the official ear, nose, and throat physicians of the Fort Worth Opera. 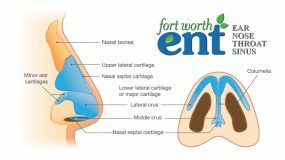 Voice problems can be successfully treated when diagnosed early by Fort Worth ENT otolaryngologists (ENT – ear, nose, throat doctors). 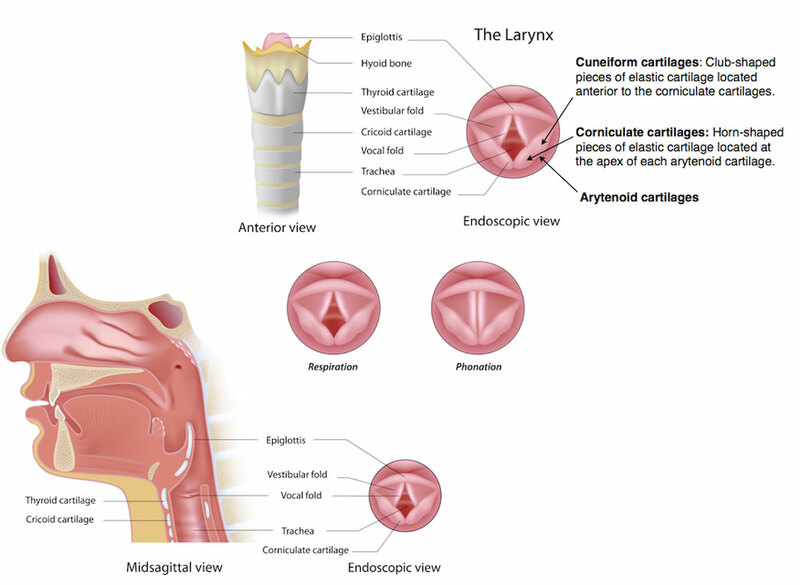 The vocal cords, also known as vocal folds, are bands of muscle tissue located side by side in the larynx (voice box) which produce voice sound when air from the lungs passes through and creates vibrations. The shape and size of the vocal cords help determine the sound of a person’s voice. Vocal cord nodules: Vocal nodules are small, callous-like, non-cancerous growths which form on the vocal cords, usually as a result of vocal abuse. The nodules typically appear in pairs (one on each vocal cord) at the area of greatest pressure when the vocal cords come together. Vocal cord nodules initially develop as soft, swollen spots and, over time, become stiffer and larger as the voice is abused. Nodules are often experienced by people who frequently overuse their voices, such as singers and cheerleaders. Vocal cord polyps: Vocal polyps are soft, blister-like, non-cancerous lesions on the vocal cords, often due to vocal abuse or irritant exposure. Polyps usually appear singularly on the edge of the vocal fold, causing the voice to be breathy and hoarse and tire easily. Laryngitis: Laryngitis is inflammation of the vocal cords resulting in a hoarse and raspy voice. 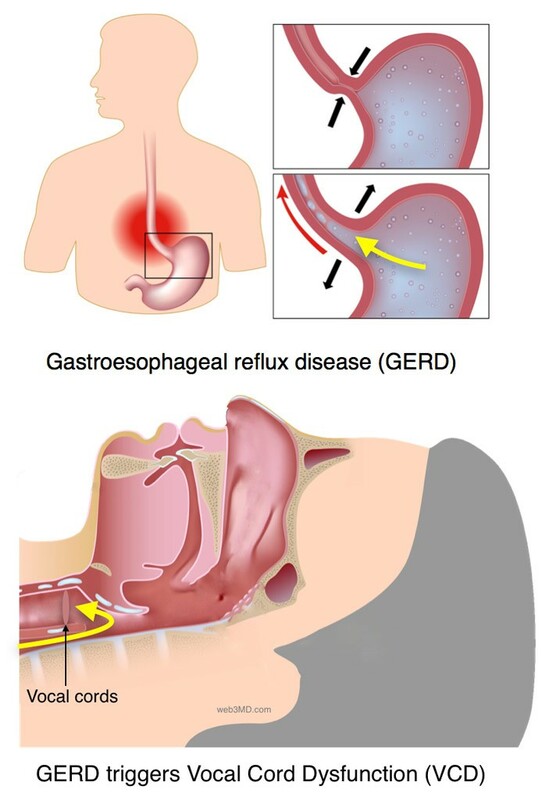 Laryngitis can be caused by overuse of the voice, GERD, infection, or inhaled irritants. While vocal cord paralysis may resolve on its own, treatment can include voice therapy or surgery. A new study conducted by researchers from Michigan State University and University of Utah, funded by the National Institutes of Health as part of a larger research project on risk factors for voice problems and gender differences in speech, found that teachers, especially women, are prone to vocal damage. Click here for the article. If you experience a hoarse voice for more than 2 weeks, or have a hoarse voice in conjunction with other symptoms, you should consult your doctor. Vocal cord dysfunction (VCD) is a disorder in which the vocal cords close rather than open as you breathe, making it difficult to get air in and out of the lungs. VCD can occur suddenly and be severe, requiring emergency treatment. VCD is often misdiagnosed as asthma, as the symptoms are similar. 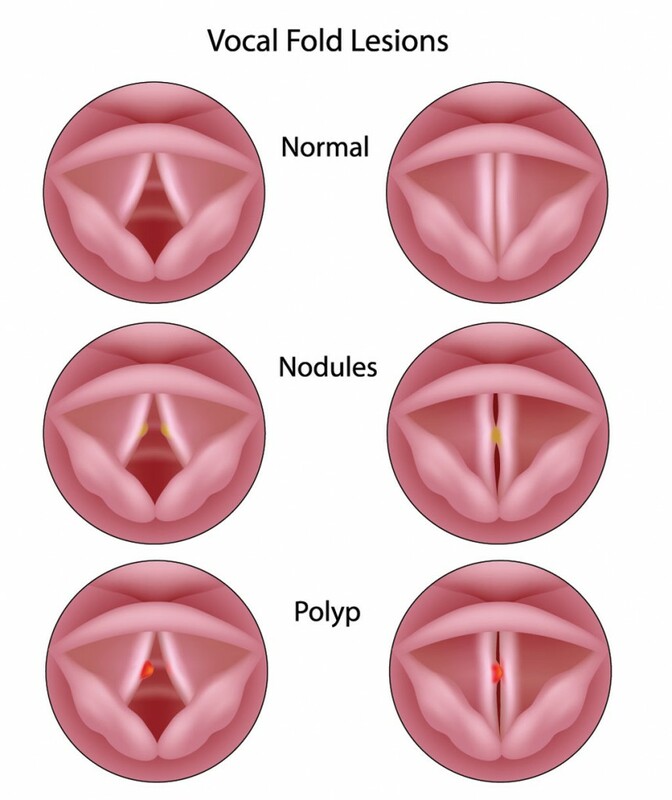 Diagnosing vocal cord dysfunction can be difficult due to its similarity to asthma and because patients with VCD often suffer from asthma, as well. Your doctor will need to test your breathing, preferably during an attack, in order to determine if you have VCD. If you are diagnosed with vocal cord dysfunction, treatment to prevent or control the disorder will involve speech therapy and breathing techniques to train your throat muscles to relax. You may need several appointments with a speech language pathologist to learn the speech therapy techniques. 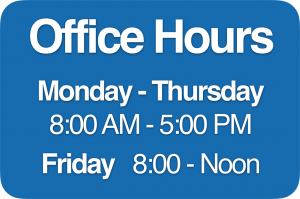 If you have any issues with voice changes or vocal cords disorder, and would like an appointment with one of our physicians at Fort Worth ENT & Sinus, please complete an online appointment request or phone 817-332-8848.